Growing up in a rural town meant I had a lot of exposure to village and town churches, which for most of English history were the center of their community. However, here a church is painted in a dramatically different light, as a towering monolith contrasted against the cloudy night sky. While not present in the scene, the front of the church is actually lit by a spotlight in the grounds, and this gives relief to the face of the church, and highlights some of the detail on what would otherwise just be a black form. 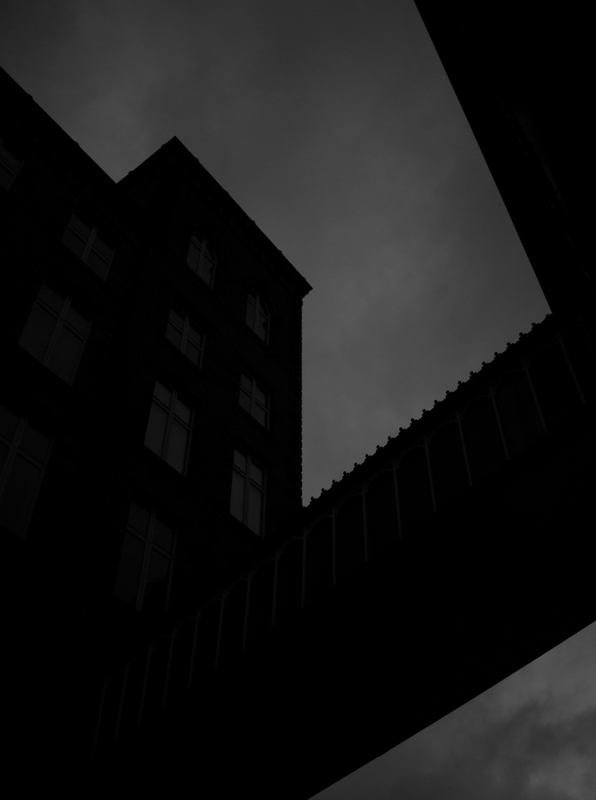 Today I wanted to try out this style of buildings contrasted against the night sky, and I have two images to show you. In this photograph I wanted to take the feeling of smallness that Church provided and make it the focal point of the image. The old mill on the left towers above the viewer and the adjoining building, in the top-right of the image, gives the feeling that this is an enclosed space, with the viewer trapped between two giants. 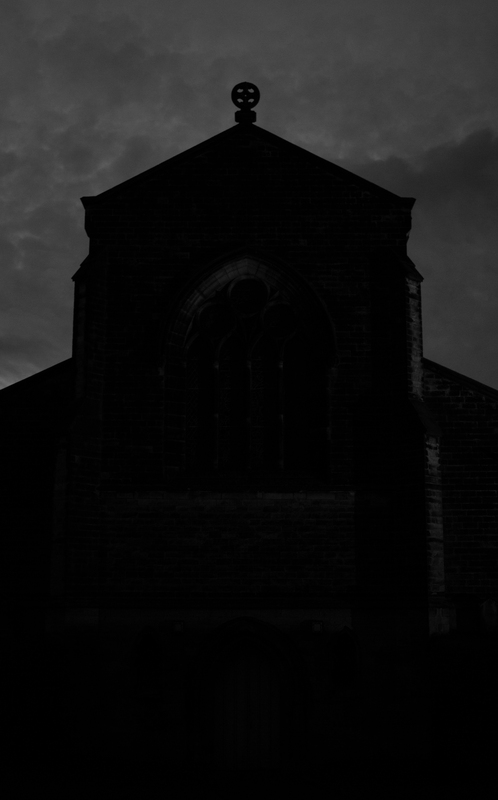 Being shot at night, the image is dark and imposing, and the high contrast adds to this effect. Overall I am really happy with this picture, and I feel like it captures a scene that not many think of when they imagine the quaint Yorkshire town that I live in. Here an old mill chimney reaches up into the cloudy night sky. The perspective is similar to that of the other two images, with the viewer looking up from a low point on the ground, but the feel is completely different. The chimney is prominent, but not imposing, and the contrast here between the building and the sky is not as drastic as in Mill and Walkway, making this image far less threatening. 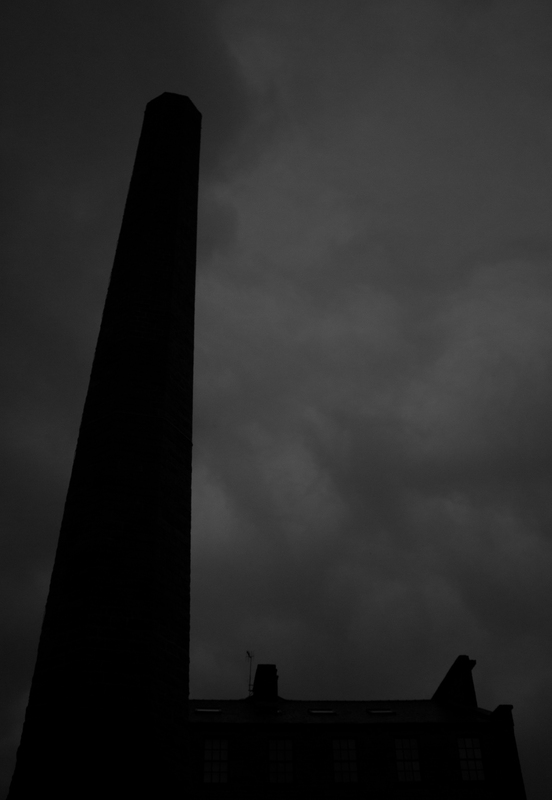 The chimney, alone against the sky, towers above as a testament to Yorkshire’s history as a county at the center of the industrial revolution. However, as we enter a modern age, and leave behind the smoke and soot of that period, this pillar, and many others like it, are consigned to merely be part of a skyline. In this post I’ve given my opinion on what I think about these three images, but I am no doubt viewing them through my own filter. If you feel like you have anything to add, don’t hesitate to leave a comment, because the feedback would be greatly appreciated! Until the next post, thanks for reading! I kind of want to embark on a gothic industrial Yorkshire chic romance now. Just me, my lover, and the withered corpse of the mining industry against the backdrop of neoliberalism.